Each month we highlight a London charity that is helping to make our neighbourhoods better. This month we spoke with Gemma Abbott of The Red Box Project, a charity that works to provide free menstrual products within schools. 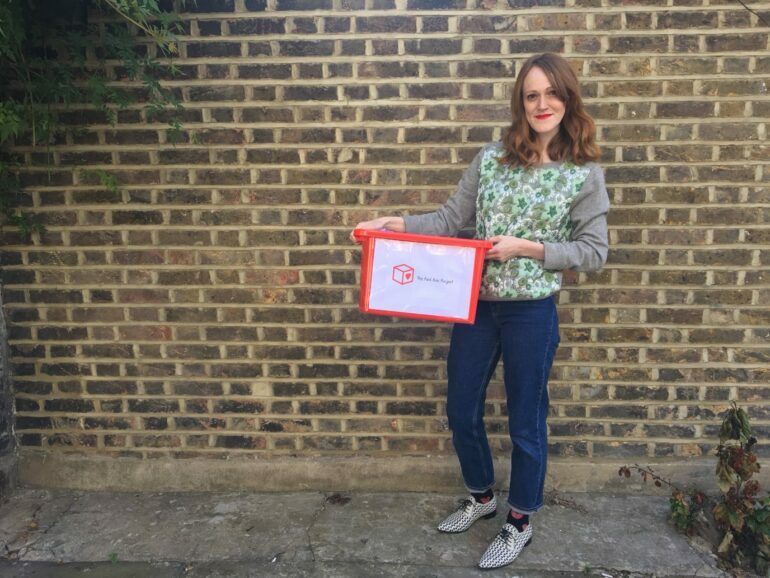 Gemma is a volunteer coordinator with The Red Box Project – Hackney North and Stoke Newington. 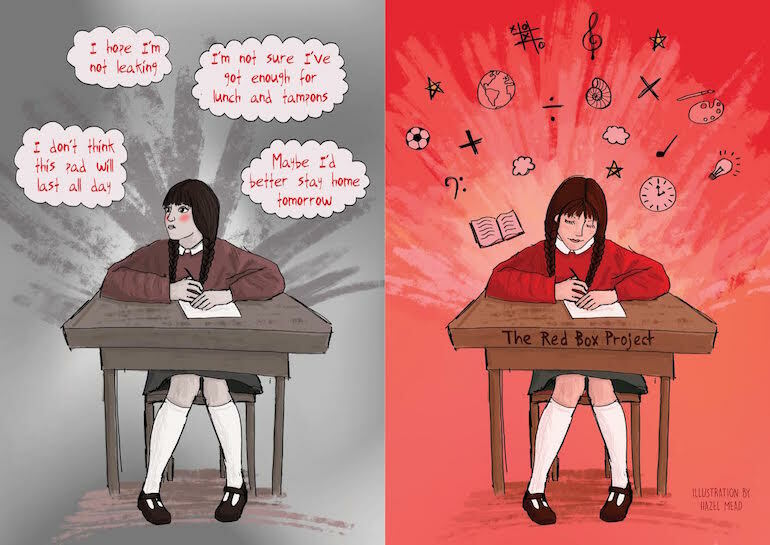 Two years later, the Red Box Project comprises a UK network of almost 300 volunteer-led projects, with more than 3500 red boxes filled with period products and spare underwear in schools and other educational settings in place. In Greater London, we have 16 projects running currently, which together have delivered more than 240 red boxes to schools and youth clubs across the capital. The right to education is one of our fundamental human rights. But across the country, thousands of girls are missing out on school because they are unable to afford period products. We know this is hard to believe, in 2019, in the fifth largest economy in the world. But the statistics don’t lie: a survey carried out in October 2017 by Plan International UK found that 15 per cent of young women aged 14 to 21 struggled to afford menstrual products, while 10 per cent could not afford them at all. 12 per cent had been forced to “improvise” to create their own sanitary wear. A survey conducted by Bloody Big Brunch last month suggested the issue may be even more prevalent, with 25% of girls and women surveyed having experienced period poverty and almost all of those having missed school or work as a result. And period poverty is just one issue that may affect a person’s access to period products. There are myriad social and cultural reasons why products might not be available at home, many of which are linked with the stifling stigma that persists around menstruation. At the Red Box Project, we don’t ask why young people need to use our boxes. We believe everyone deserves equal access to period products, whatever their situation. We rely on donations of period products from our communities to fill our red boxes. We also welcome cash donations so that we can buy red boxes and underwear (which is rarely donated) and to pay for printing and (for some of our larger projects) storage costs. WHAT OBSTACLES DOES YOUR CHARITY FACE? Despite the statistics above, there remains a large amount of scepticism that period poverty is genuinely an issue. Most objections relate to cost; as it was put to me last summer on the BBC’s Sunday Politics London show, “surely families can afford [a box of tampons for a pound or two]?”. And it is true that some products are available cheaply. However, it is also true that not all products are suitable or accessible to everyone. Moreover, for many families, even the cheapest of period products are an expense too far. We know that poverty restricts people’s options, leaving them in impossible situations like choosing either to pay their rent or heat their home. In this context, menstrual products, although they are utterly essential, become a second-tier need. We also grapple daily with the fact that we are a team of volunteers, working as hard as we can to plug the huge gap left by the Government’s inaction. Until very recently, in England, the Government had consistently denied its role in alleviating period poverty in schools, instead placing the onus on schools themselves to tackle the problem. Yet, in many schools to which we have delivered red boxes, we have met staff who have been buying period products for students with their own money. For this reason, we have worked with Amika George to set up the #FreePeriods legal campaign, calling on the Government to provide funding for free menstrual products in all schools and colleges. This won’t solve period poverty altogether; but it will make an immediate difference to young people experiencing the issue today. In March’s Spring Statement, the Government policy on addressing period poverty in schools finally changed. The Chancellor, Philip Hammond, pledged to provide funding for free menstrual products in all secondary schools and colleges in England. This is a huge step forwards. However, this policy does not currently go far enough. In particular, we need to ensure that all children are supported, irrespective of their age – and this includes children at primary school. More than a third of the boxes provided by the Red Box Project – that’s well over 1,000 – are given to primary schools. In Hackney, more than half of our boxes are in primaries; we heard just last month that our red box is used regularly by 25% of Year 6 students at one particular primary school. The average age to start menstruating is 13, but many children will begin earlier than this, sometimes as young as eight or nine, and those children will usually need some help to cope with their periods at school. The government’s new policy is intended to support children who are menstruating to participate fully in their education, so it seems needlessly cruel to exclude primary school children from this. It also seems arbitrary and unjust (not to mention discriminatory) to exclude children in pupil referral units or special educational settings. We also need to ensure that this funding is long-term, ring fenced and enshrined in legislation. We want to ensure that this is an enduring commitment, protected against the political whims of future governments. Our projects often hold fundraising and awareness-raising events, at local donation points or in collaboration with local businesses or projects. We really enjoy working with artists, performers etc to arrange one-off collections at events, or teaming up with businesses to arrange collections of products. For example, last month, volunteers from our project in Hackney attended events hosted by Rough Trade Books and Ricochet for International Women’s Day, and also collected donations at a Scummy Mummies gig at EartH (Evolutionary Arts Hackney). Next month, we’ll be attending Scarlett Curtis’ Feminists Don’t Wear Pink tour, again at the amazing EartH venue, to raise awareness and collect donations of products. HOW CAN PEOPLE GET INVOLVED (VOLUNTEER, CHARITABLE DONATIONS ETC)? We are very much a community-based project that relies on local volunteers and donations. You can get involved by supporting your local project, whether by volunteering your time or donating, or, if you don’t have a local project, setting up your own! You can also support our work by sharing our posts on social media etc and raising awareness amongst your family, friends and colleagues. We know that when communities come together, we can make a real difference. But in the long-term, equal access to education should not rely on the kindness of strangers. So we would also hugely appreciate your support of the #FreePeriods campaign: in particular, by sharing our posts and tweets on social media, and by getting in touch with your MP or with the ministers responsible for the new policy of free period products in schools (Philip Hammond, Penny Mordaunt and Damian Hinds), to urge them to extend the policy to cover ALL children, and not just those in secondary schools or colleges. We have already seen the impact that we can have when we work together and raise our voices; please help us to ensure that period poverty experienced by children becomes history, once and for all.